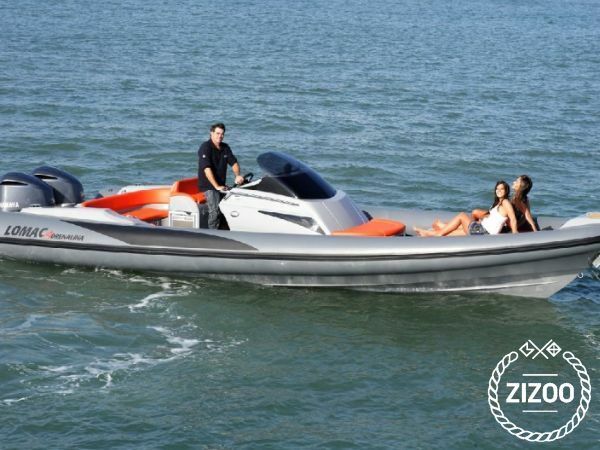 New 2017. year high class rib Lomac Adrenaline 9.5 One of the most attractive ribs on the market today, perfect choice for passionate speed ride through Split archipelago. Boat has 2x300hp Yamaha outboard, max speed 55knots. Lot of equipment- two beds, toilet, water, radar, speakers, gps... Boat is located in marina Zenta, but excursion can start from the center of Split or any other place or island. For all details about rent please contact us on message.